No matter how accustomed you may be to glasses and contact lenses to correct your nearsightedness, farsightedness or other refractive error, there are sure to be times when you wish you could simply enjoy crystal-clear vision from day to day without dealing with all that extra hardware. But at the same time, you may leery of subjecting your corneas to major surgery in the form of LASIK vision correction -- especially since, for better or worse, that procedure cannot be reversed. So you may be thrilled to learn that there is indeed another way to correct your daytime vision. The technique is called orthokeratology, and our optometrist in Boca Raton, Dr. Goberville, is happy to provide it here at Eye Site Vision. Correcting refractive errors such as myopia, hyperopia and astigmatism have also revolved around improving the way the retina receives incoming light. If the eyeballs or corneas aren't perfectly shaped, incoming light is refracted improperly, creating blurry images instead of clear ones. Glasses correct for these refractive errors before the light ever reaches the eye, while contacts perform their compensation as the light passes through the corneas. The corneas themselves can often be altered to correct the refractive error in question via the laser surgery procedure commonly known as LASIK. But not everyone is a good candidate for LASIK, while others would rather avoid eye surgery -- and while glasses and contacts get the job done, they can be a hassle to maintain and keep up with. Like LASIK, orthokeratology (or ortho-k) changes your corneal curvature; unlike LASIK, it doesn't require surgery or permanently alters your eyes. 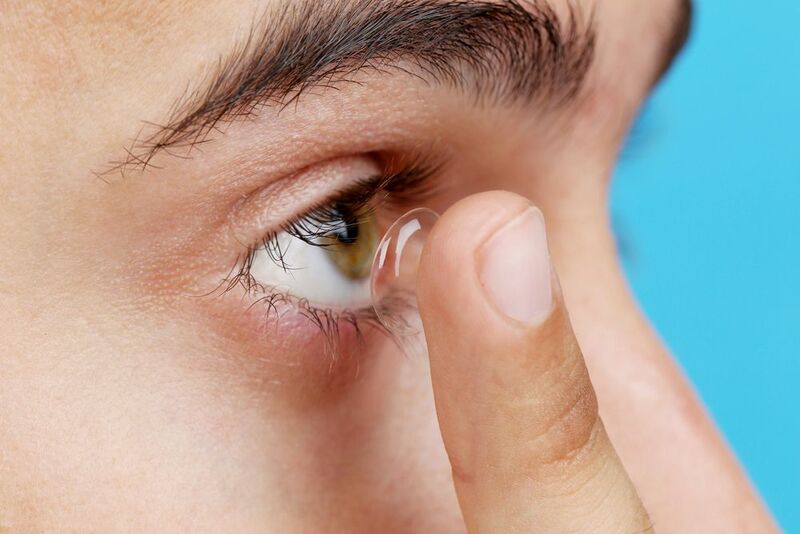 Ortho-k uses gas permeable (GP) contact lenses that are only worn during sleep, gently reshaping the corneas so you can wake up, remove the lenses, and see clearly without any need for corrective lenses during waking hours. The effect can last for several days between uses in some individuals, and you can always maintain your vision correction simply by reinserting the lenses as needed. If at some future point you decide you'd rather have LASIK or use daytime lenses, you're at liberty to put the ortho-k lenses aside and pursue that option. If your child suffers from myopia (the condition most easily corrected by orthokeratology), you've got even more reason to consult our optometrist in Boca Raton. That's because ortho-k lenses don't just give your child sharper, clearer daytime vision -- they can actually slow the progress of myopia by limiting the increases in the length of the eyeball that affect refraction. This is a huge benefit because most myopia develops during the formative years of childhood, and controlling it now can help ensure a lifetime of less visual impairment. Ready to orthokeratology is right for you? If so, Eye Site Vision has the answers you seek. Call the Boca Raton, Coral Springs, or Lighthouse Point FL office near you to schedule an initial consultation and evaluation with our eye doctor. You may find that orthokeratology is the clear winner for your vision correction needs!